Zaragoza, the capital of Aragon, has a privileged location with an equal distance from Madrid, Barcelona, Valencia and Bilbao. The city counts on an international airport and the high-Speed line (AVE). The destination has a delicious gastronomy and a rich heritage of historical monuments (Basilica del Pilar, Cathedral of San Salvador, Aljafería Palace, the paintings of Goya or the Mudejar–UNESCO Heritage of Mankind). The city also has renewed infraestructures from the 2008 International Expo (Water Tower, Bridge Pavilion or river Aquarium). Opening hours: Normal opening hours for shops are Mon-Sat 10am-2pm and 5pm-8pm. The larger stores stay open all day. 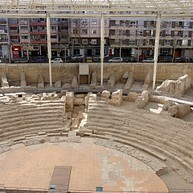 Throughout the year, Zaragoza is the centre of varied and intense cultural activity. Festivals such as Asalto, the International Urban Art one and Trayectos, for the contemporary dance in urban landscapes are an international reference point. The most important celebration in the city are Las Fiestas del Pilar, which took place in October, the city triples its population – estimated at 700,000 people – and hosts more than 500 cultural and recreational events enjoyed by locals and visitors. The Semana Santa (holy Week) of Zaragoza has more than 700 years of history and was declared of international tourist interest. The heart of the city provides a master formula for fun, history and culture. Zaragoza is lived and enjoyed in the streets. 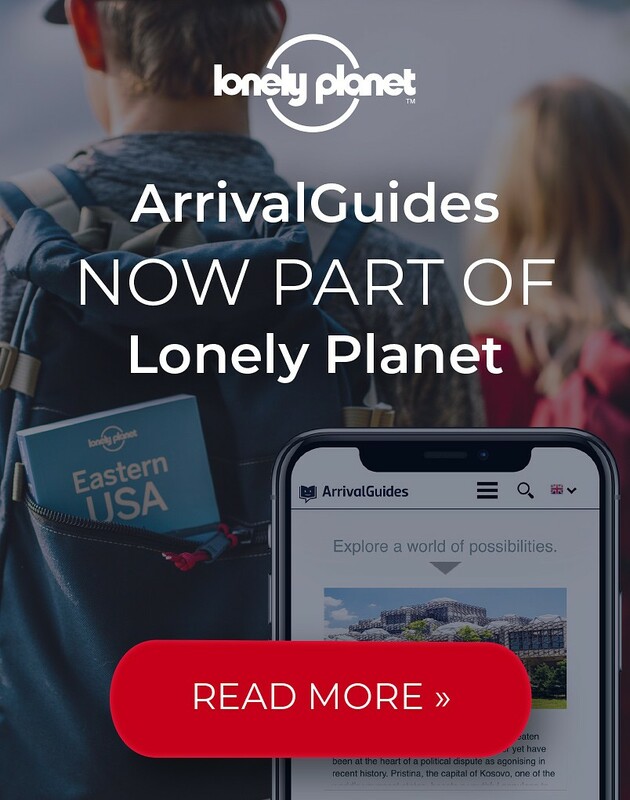 Besides, the city counts on a plenty of leisure activities in the former Expo site, such as the largest river Aquarium in Europe or in the Water Park. 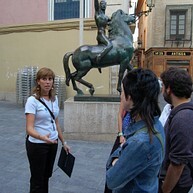 A monographic museum dedicated to the work of the Aragonese sculptor Pablo Gargallo. Installed in the Argillo Palace, it is a valuable example of the evolution of civilian architecture in Zaragoza in the 17th century. It was declared a national monument in 1943. The museum dedicated to Pablo Serrano lies in the Paseo María Agustín, on a site which formerly housed the workshops of the Provincial Orphanage. 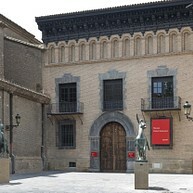 The museum displays a collection of works by the sculptor and his wife, painter Juan Francés, and is a key venue for the promotion of contemporary culture and creation. This is the cultural and social centre of La Caixa Obra Social (Social Projects). 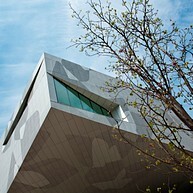 The building is the work of Carme Pinós Studio. Its exhibition rooms house both art and science exhibitions. It offers an extensive activity programme for all ages. 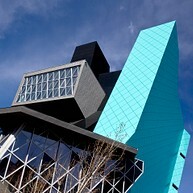 After the Expo 2008, Zaragoza emerged as an innovative city. The buildings of the expo received important architecture awards such as the Spanish Pavilion, the Pavilion Bridge or the Water tower. The Aquarium is the largest river Aquarium in Europe and one of the biggest in the world. Renovated infrastructure for a city open to the future. Its collections comprises the Archaeology Section which goes from prehistoric times to the Muslim era, and Fine Arts section, highlighting the works of Goya. Headquarters of the Royal Armoured Calvary since 1912. 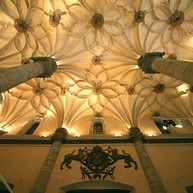 It was commissioned by the jurist Miguel Donlope, and was not finished until the last quarter of the 16th century. Its façade presents features that would become commonly seen in these buildings, such as a semicircular arch, three floors, rough, arched gallery, slit windows and classical style wooden eaves. On the inside, one can find rich plaster ornamentation in the courtyard and on the stairs, an extraordinary wooden ceiling, and fine craftsmanship in the main floor rooms. The Alma Mater Museum is located in the oldest part of the "Casas del Obispo" (Bishop houses), with the entrance in Paseo Echegaray y Caballero. During your visit you will see remains from various eras: Roman, Gothic, Mudéjar and Renaissance, with significant architectural features retrieved from the restoration of the Palacio Arzobispal (Archbishop's Palace). Set within the most important monumental area of Zaragoza, by the Basílica del Pilar, the Town Hall, the Archbishop`s Palace and La Seo Cathedral, la Lonja is the finest existing example of Aragonese Renaissance civil architecture. A stunning beautiful, uniquely decorated building, it is currently used by the Zaragoza City Council as an Exhibition Gallery. 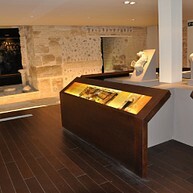 New areas have emerged as a new concept of shopping and gastronomy. 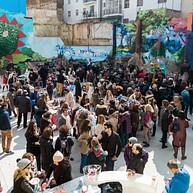 Enjoy shopping in the alternative street markets with music and urban art!. 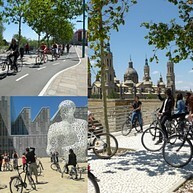 Zaragoza is a very accesible and sustainable city. Discover this tourist destination by bike throught its more than 100 kilometres of bike lanes. It is based on excellent products, some with denomination of origin such as the lamb, the Teruel ham, olive oil, wines… It combines tradition and innovation. The gastronomic offer of the city includes restaurants and a great variety of bars, cafés where to enjoy the typical “tapas”. Several gastronomic festivals or gastronomic tours take place in the city all over the year. 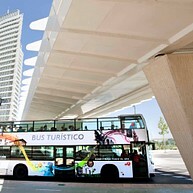 Hop on the Tourist Bus and discover Zaragoza! This 16-stop route will take you to some of the most emblematic places of interest in the city. The Tourist Bus ticket can be used for 24 h from its first use and it can be listened in Spanish, English, French, Italian or German.